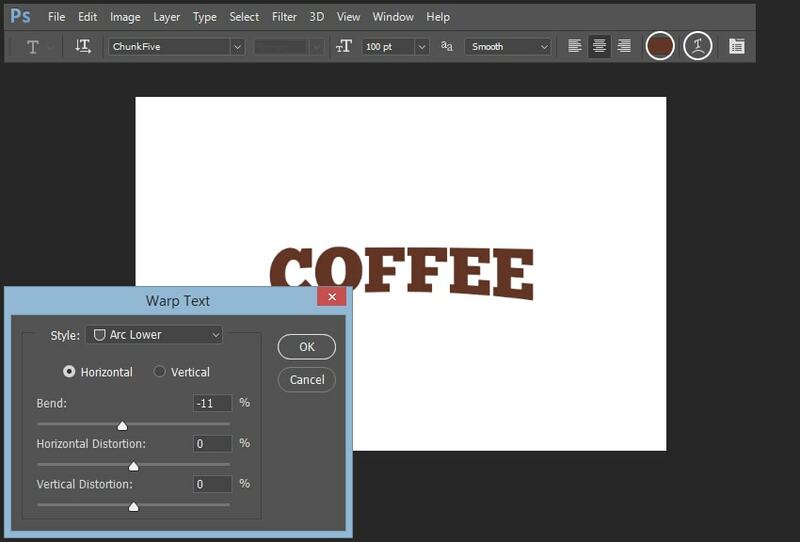 In this tutorial, you will learn how to create a text effect using displacement mapping in Adobe Photoshop. 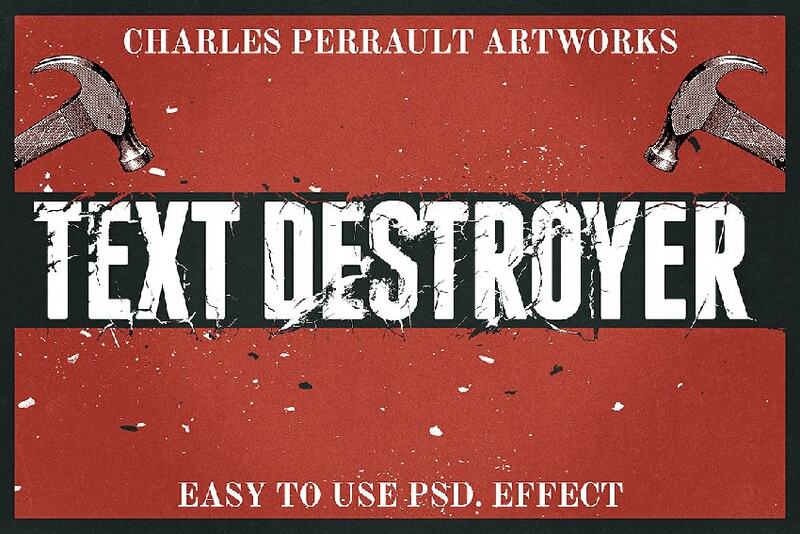 I created a Text Destroyer with unlimited text effects using the same method for my GraphicRiver portfolio. Go to File > New and create a new file to work with. Use the following settings: Width: 2000 px; Height: 1500 px; 300 dpi. 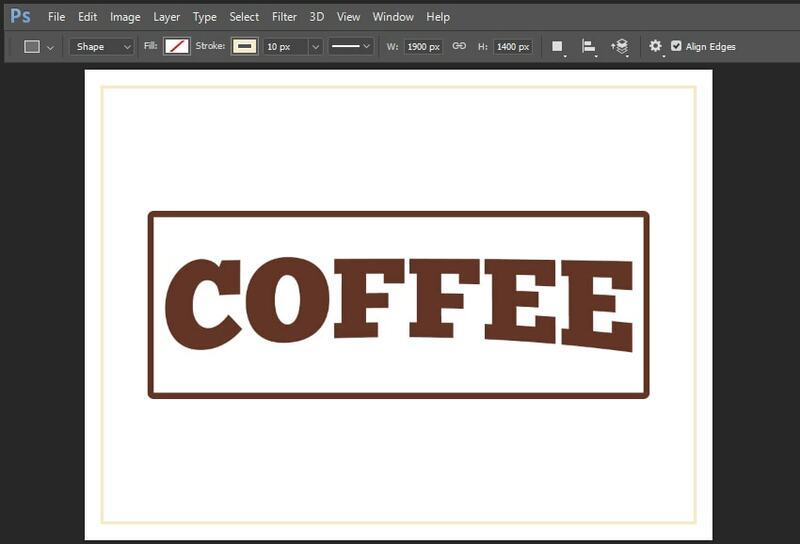 Click T to open the Horizontal Type Tool and create any text you want to use. Change the color of the text to #633526 and then click on Warp Text icon and use the following settings: Style: Arc Lower; Bend: -11%. 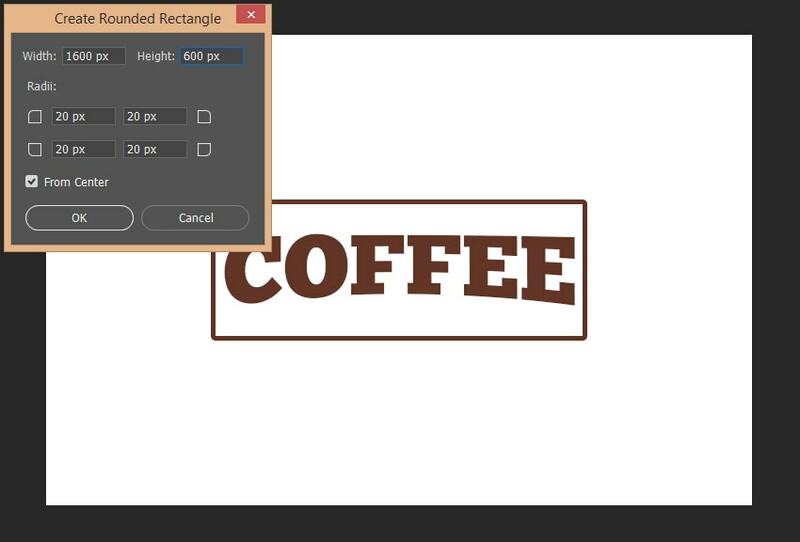 Click U and select Rounded Rectangle, and then create a shape with the following settings: Width: 1600; Height: 600; Radii: 20 px on each side. 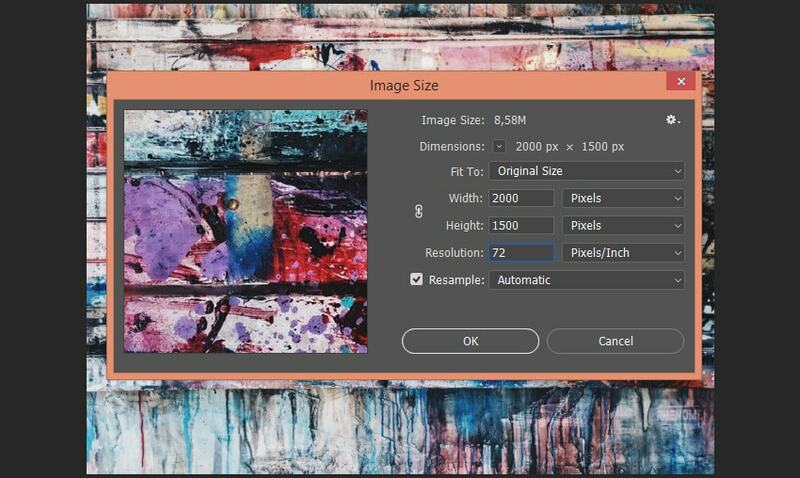 Click U again and create a simple Rectangle with the following settings: Width: 1900; Height: 1400; Color: #f7eac8; Stroke: 10px. 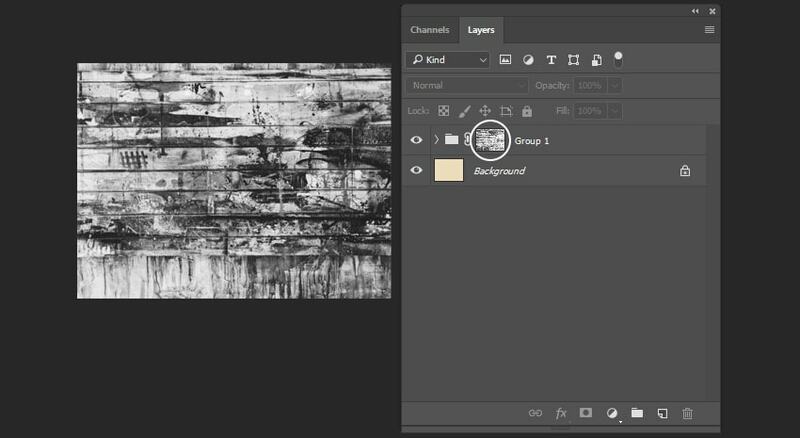 Click G to open the Paint Bucket Tool and fill the background layer with the color #ebdcbb. 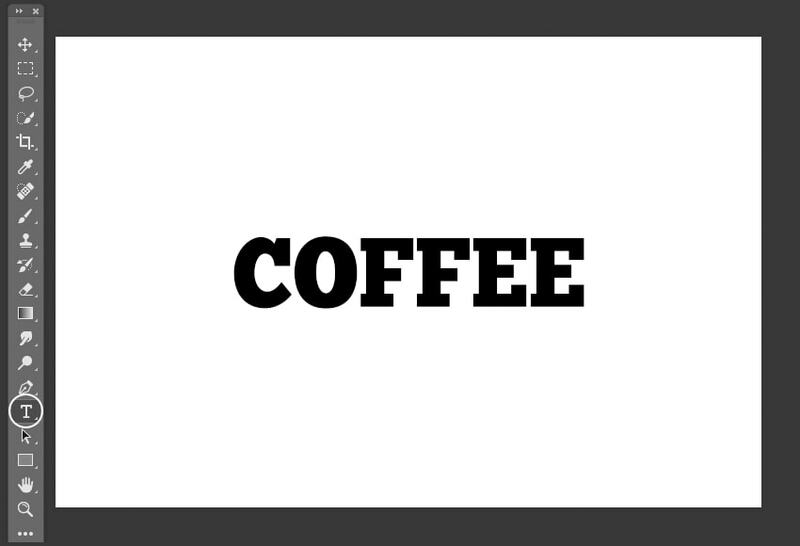 Select the text layer and the rounded rectangle layer, and then Right Click and select Convert to Smart Object. 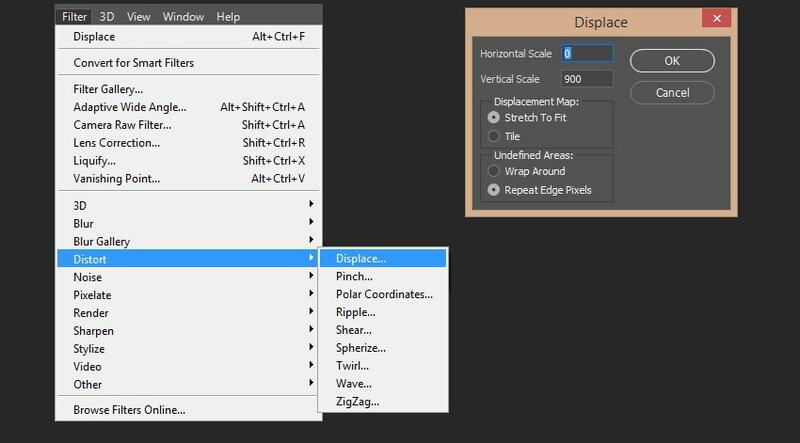 Convert the second rectangle to a Smart Object as we did before, and then Right Click on the first Smart Object and select Duplicate. Open Texture 01 in a new window and press Alt-Control-I to change the size of the texture to 2000×1500. 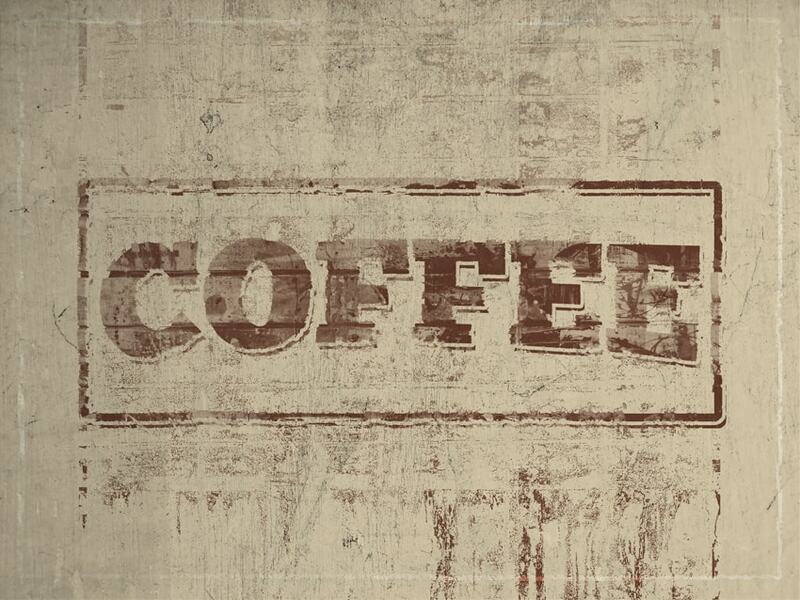 After that, press Shift-Control-S and save our texture as a .psd file. 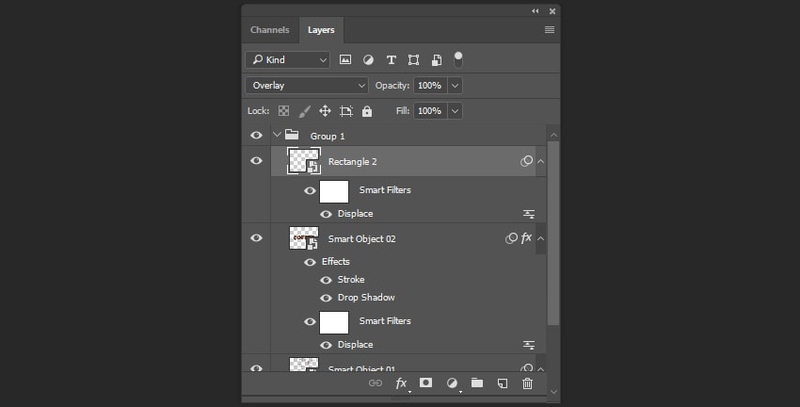 Select our second smart object and go to Filter > Distort > Displace, and then select our psd. file as a displacement map with the following settings: Horizontal Scale: 5; Vertical Scale: 5; Stretch To Fit; Repeat Edge Pixels. 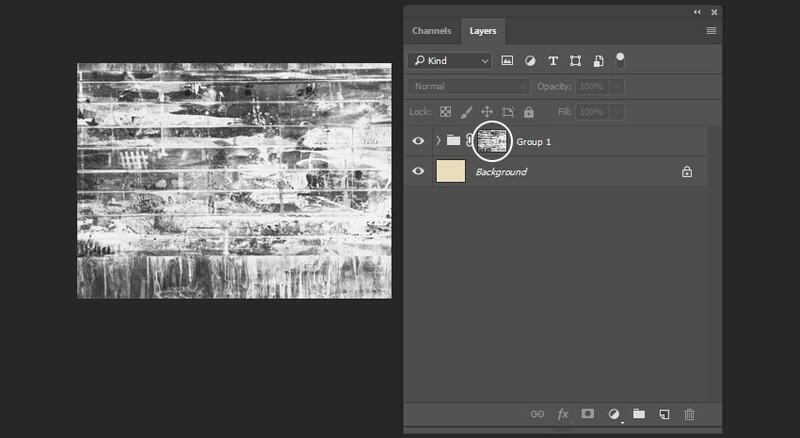 After that, use the same filter with the same settings for the big rectangle layer. 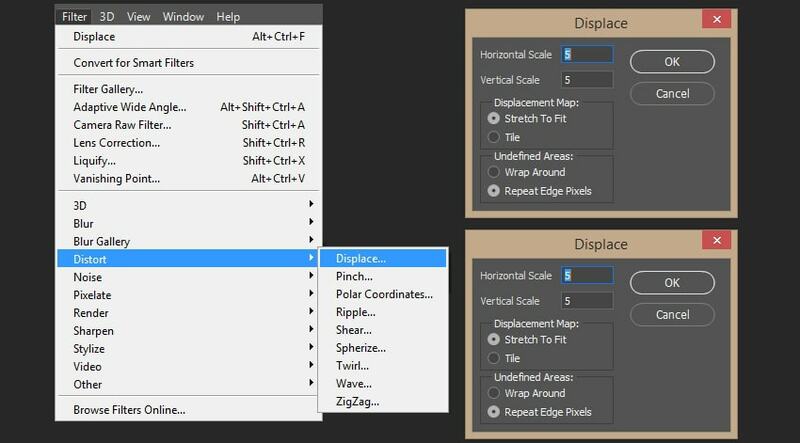 Select our first smart object and go to Filter > Distort > Displace, and then select our .psd file and use the following settings: Horizontal Scale: 0; Vertical Scale: 900; Stretch To Fit. Now we need to add textures and create layer style effects for our document. 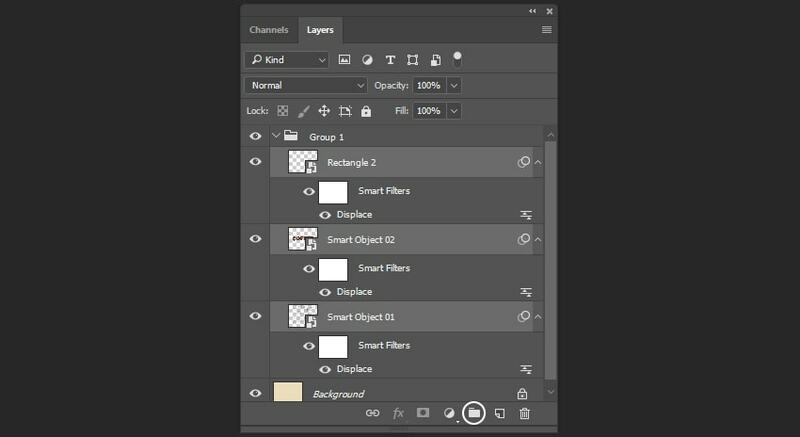 Select all the layers and then click on Create a New Group. 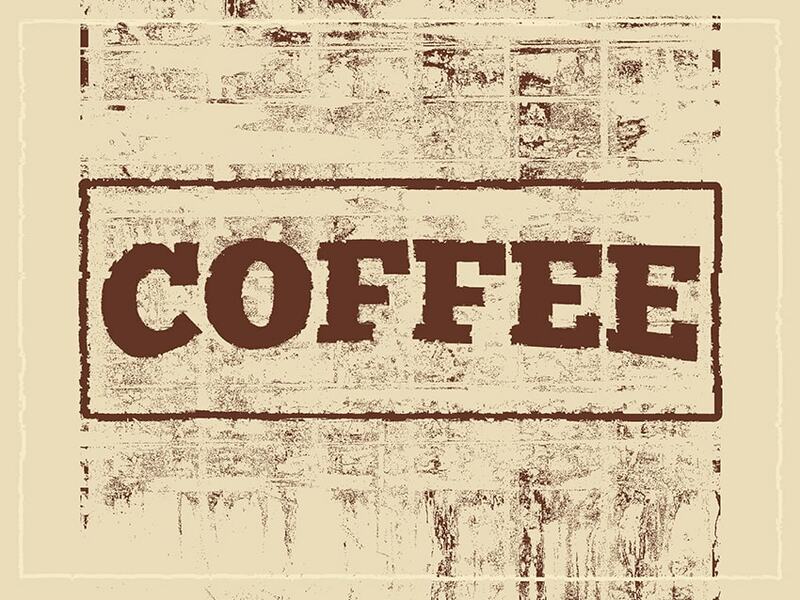 Double Click on Smart Object 02 and use the following settings: Drop Shadow; Color: #633526; Angle: 120; Distance: 20. 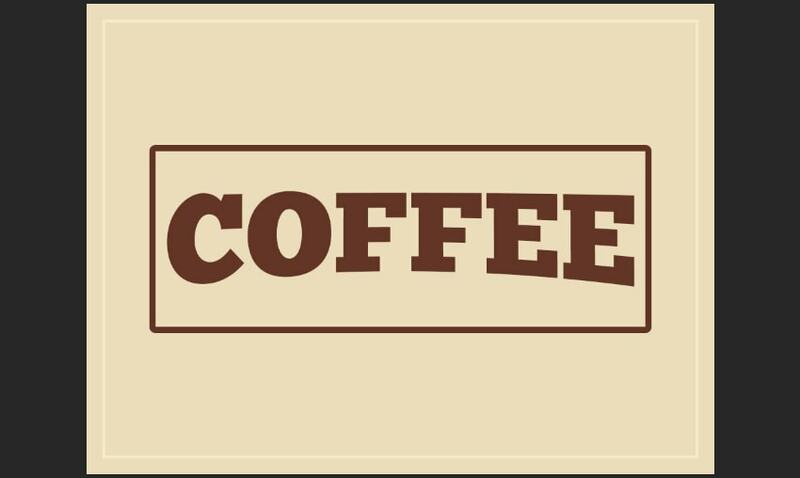 After that, add a Stroke in the Layer Style panel using the following settings: Position: Outside; Size: 9; Opacity: 0; Color: #633526. 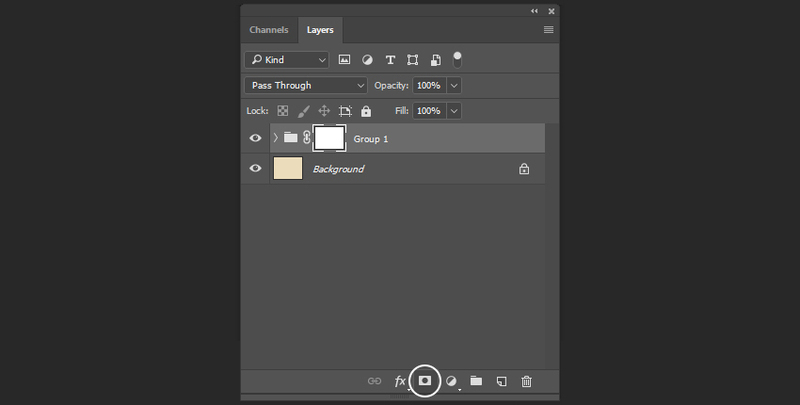 Now we need to change the Blending Mode of the rectangle layer to Overlay in the Layers panel. 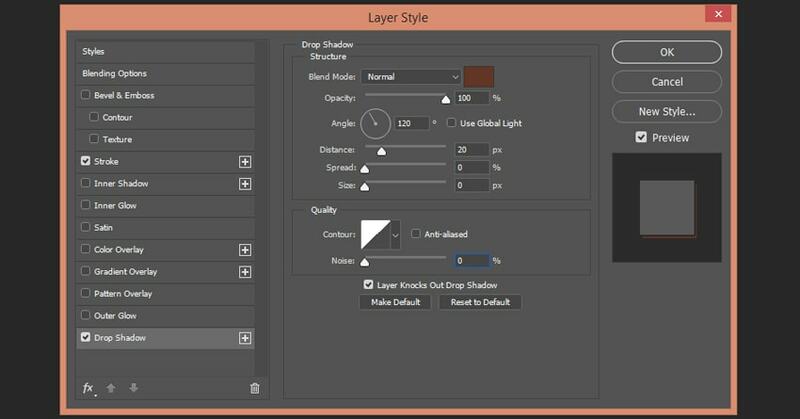 Select the group of the layers and then click on the Create Mask icon. Open Texture 01 and click M to open the Rectangular Marquee Tool. 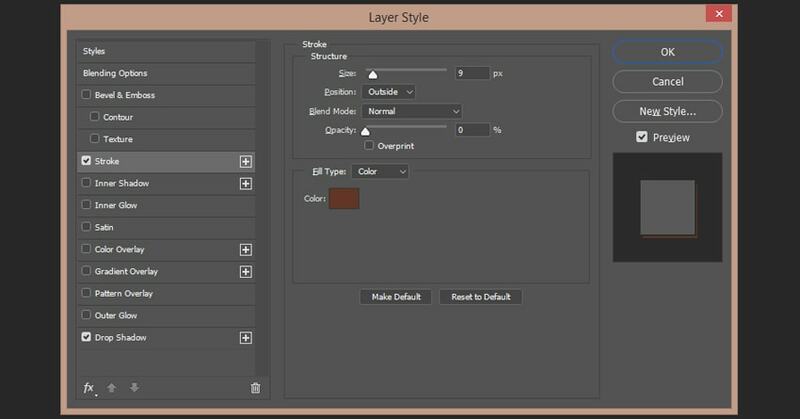 Then select the whole texture and press Control-C.
Alt-Right Click on the mask of the group and then Control-V to paste the texture as the mask of the layer. After that, press Control-I to invert the mask. Finally, to add the final touches, put the Texture 02 above all layers and change the Blending Mode to Multiply. 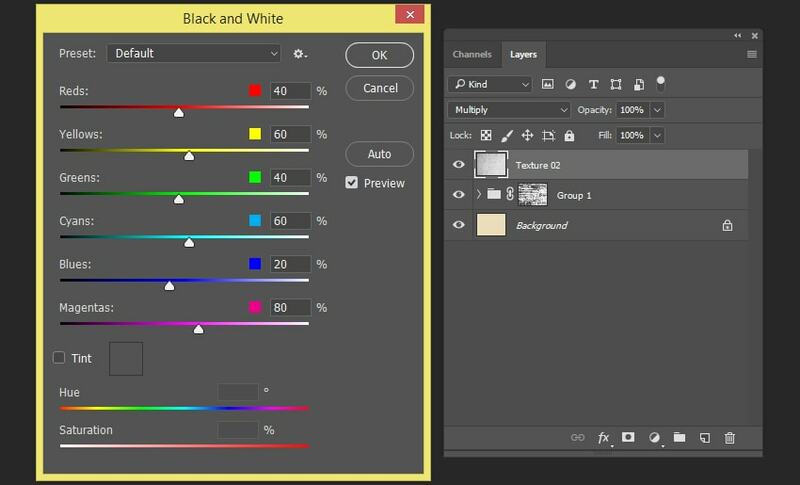 Then press Alt-Shift-Control-B to convert the texture to black and white. If you would like to create similar effects in a few simple clicks, then check out my Text Destroyer item in my GraphicRiver portfolio. Flying to Huntsville and Kickerillo Park Fun!